Schedule a Session with Spirit & Spark! Are you ready to look into your past, present and future? Would you like to connect with your departed loved ones? Click the button below, fill out the form and we'll be in touch with more information! We have a talented team of psychics, mediums and energy practitioners that are available over the phone or at our Boutique Soul Center in Las Vegas, NV. Spirit & Spark offers private sessions and group classes designed to help you uncover and rediscover yourself. Media, Event or Special Guest Inquiries: Kindly email dallisa@SpiritAndSpark.com and put inquiry details in the subject line. By completing the following form, we will add you to our invite and special announcements email list. You may unsubscribe at any time. Click the image above to watch a short video about Dallisa, Founder of Spirit & Spark -- She is a Las Vegas based Clairvoyant, Medium, Certified Tarot Card Reader, Spiritual Coach, Meditation Teacher and Energy Healer. I've been intuitive for as long as I can recall. I grew up in a family where we openly discussed matters of the unseen: ghosts, bumps in the night, psychic messages and the magic of the universe. 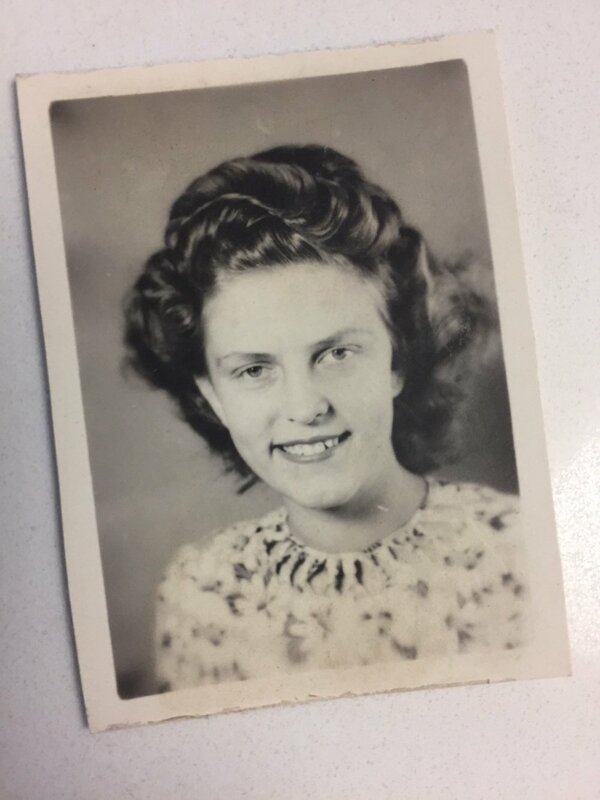 My grandma Ellie would sit me down as a child and tell me about the spirits she had seen the night before, and which "dead" friend or relative had come to pay her a visit. I was constantly mesmerized and always sat on the edge of my seat as she told me her stories. Grandma always encouraged me to listen to any messages that I received, and be open to what my spirit guides were telling me. I've had a beautiful intuitive gift to help lead me through life, and then Spirit said ... "Dallisa, it's time to share your abilities with the world!" You see, it was a fateful trip that changed the course of my life. I was attending a workshop on synchronicity at the Omega Institute in New York, and I decided to extend my trip an extra day to enjoy time with my friend Peter, who had a home in the area. He and I explored small towns, dined together and caught up on our lives. However, one night at his home he received a call with the news that his dear aunt Barbara had passed away. I gave Peter my condolences, and then we separately went off to bed. That night, I slept with the windows opened and marveled at the chirping critters that were in the surrounding trees. I went into a deep sleep, and the next morning arose with great intrigue. I had "seen" Peter's aunt Barbara in my dreams, but I had never met her nor did I know anything about her. I compared notes about her appearance with Peter, and he confirmed that my description was accurate. I was in awe and thrilled that his aunt had shown up in my dream. And, that was just the beginning. I'm grateful that I was an open channel to receive this beautiful message from Spirit, and the experience has forever changed my life. I intuitively know that Barbara came to me that night to show us that she was very much still alive, and so that I could share the beautiful confirmation with Peter. And, it changed my life forever. Fast forward: I work as a psychic medium with clients across the country, and I love seeing the healing that occurs after our private sessions. My grandmothers from generations past often show up during my private readings to help bring me clear messages. Additionally, I teach classes on topics such as Connecting with Angels, Developing Your Psychic Abilities and Specialty Meditation Workshops. I also work on cold cases, specifically murders, and understanding circumstances around someone's death. And finally, I opened Spirit & Spark in Las Vegas, NV, and I have a team of talented individuals offering their own private sessions and classes. The magic that Grandma Ellie instilled in me at a young age has been born into a boutique soul center that I am very proud of (and I know she would be, too). So, are you ready to unlock powerful insight? Allow me or someone on my Spirit & Spark team receive the messages that Spirit has for you. Kindly start by completing the online form above, or email me at dallisa@SpiritAndSpark.com.